“He was very anxious about starting and leaving me, so I had suggested that he take something of mine.” That thought led a WNY mom to make something, special, just for him. All parents have experienced this…sending the baby off to kindergarten, except, they don’t want to go. One Alden mother tried everything to help ease her son’s anxiety. 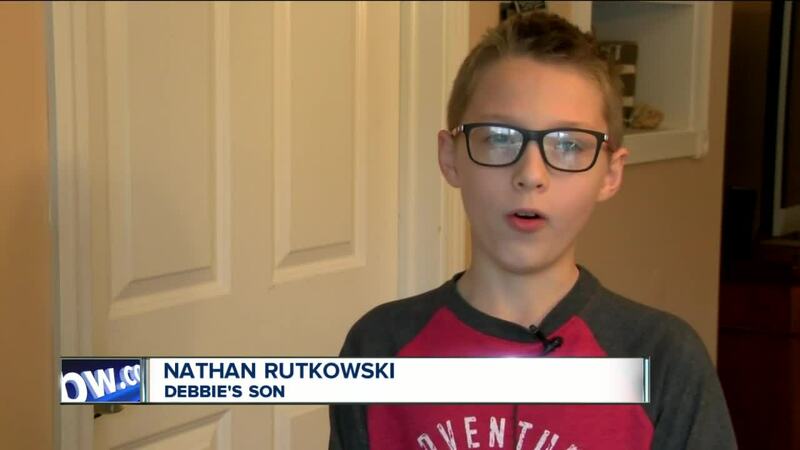 But her son, Nathan, was scared he would it and mom, Debbie Rutkowski, would be mad. So, she decided she’d make something special, just for him. Debbie calls them “Pocket People”. They are little wooden dolls that are attached to binder clips which fasten to a belt loop or a book bag. It started out as something special for Nathan’s separation anxiety, but as other parents found out about what it did for Nathan, they started asking for some, too. Now, years later, Debbie’s pocket people are in a lot more jeans than just her sons’. Some parents even keep pocket people of their own when they send their kids off to school, away for work, or even off to enlist in our armed forces. Debbie’s son has outgrown the need to have a pocket person, but he still praises their value to anyone he thinks it could help. They are $8 and you can purchase them here , or reach out to Debbie, who works as an “up-cycler” with her own online boutique.